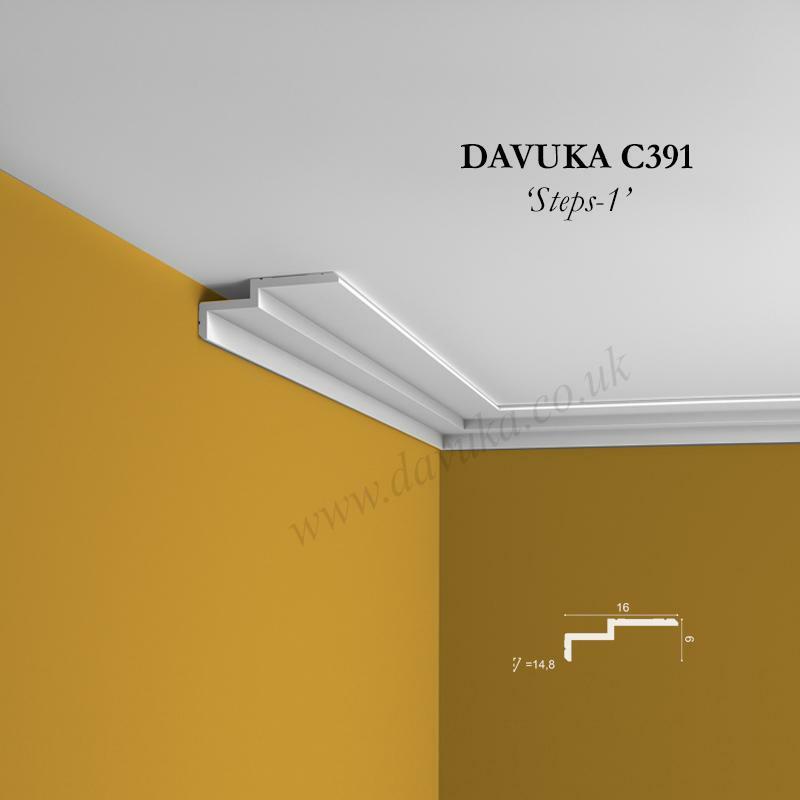 Not long ago, there was a trend for decorating in a minimalist style – people simply didn’t want coving or cornice in the traditional sense as it was regarded as being too ornamental or fussy, especially when renovation was undertaken in a modern style. 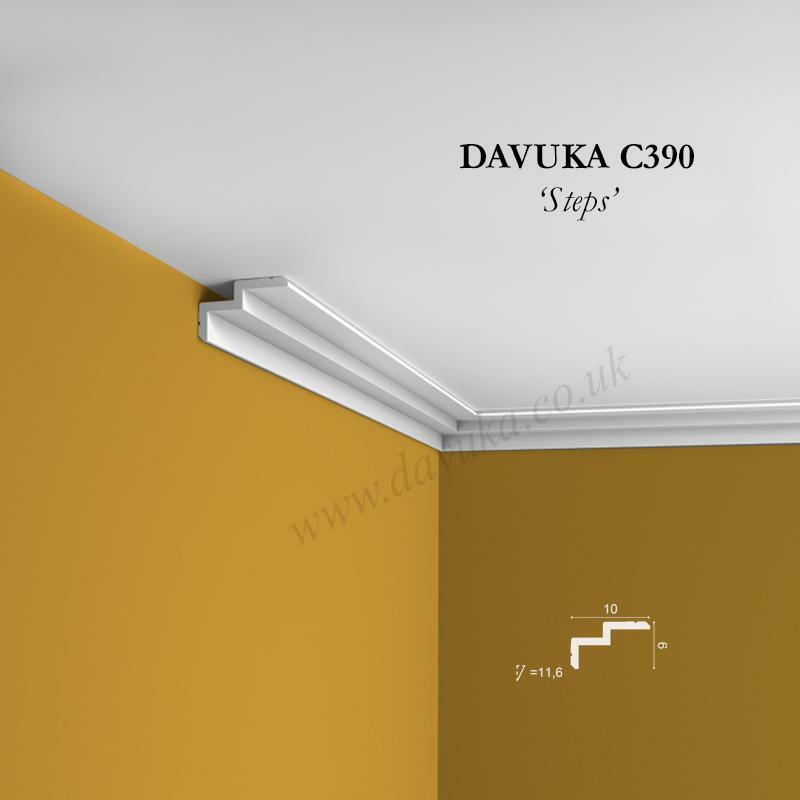 In response to that trend, we have completely re-thought how to decorate a ceiling without it appearing too ‘old school’ in appearance. 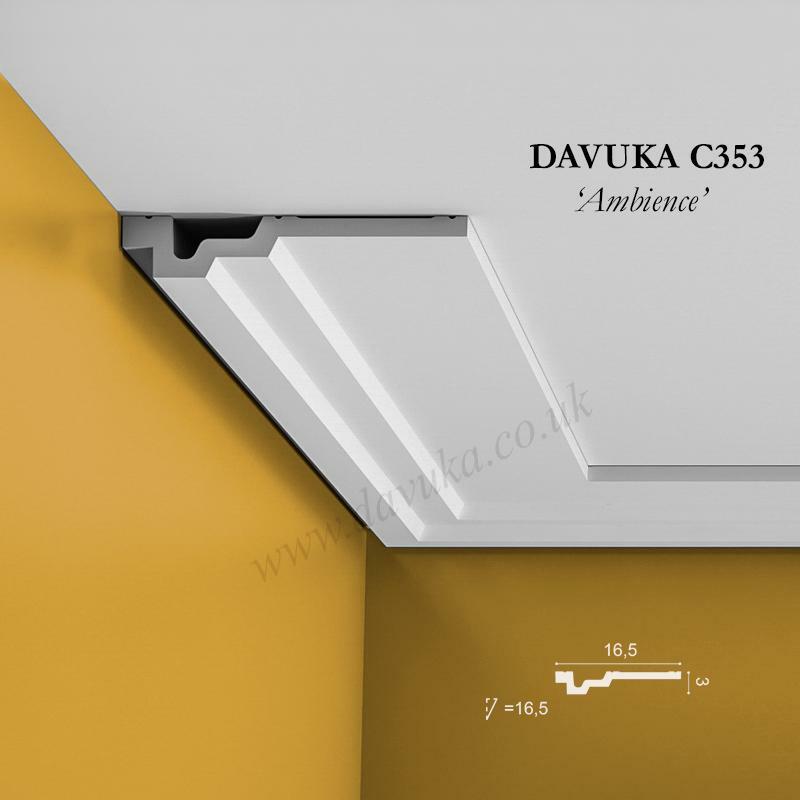 The result is our Contemporary range which has probably been the biggest shift in cornice design and also the most acclaimed and approved styling by interior designers and specifiers that we have ever had. Unquestionably this ‘family’ of designs has become our most popular product range since it was introduced. (See further, below). 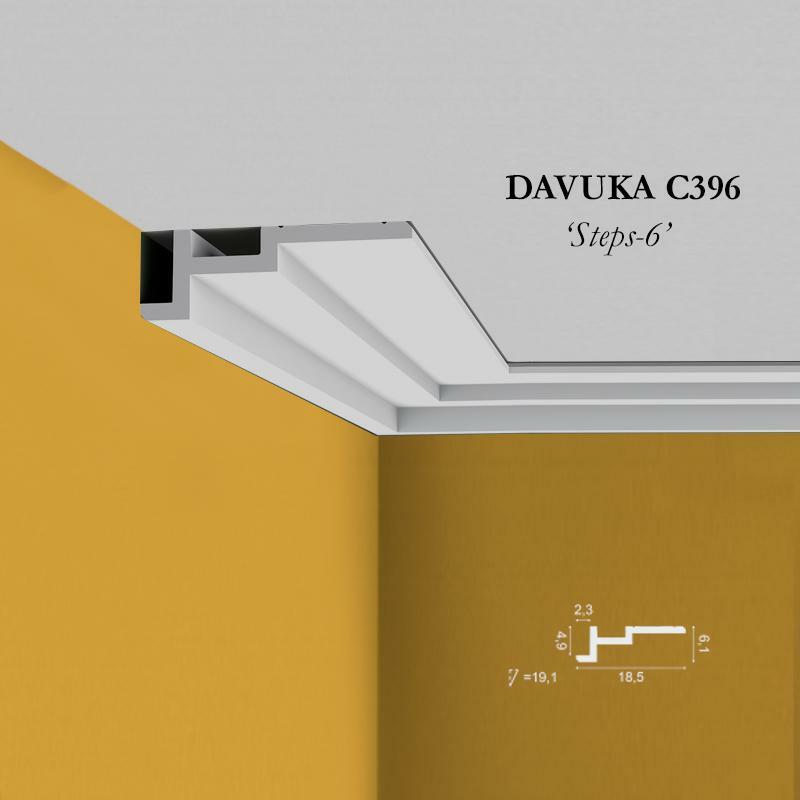 Each profile (with the exception of the 4 new “Steps” profiles) is simply glued directly to the ceiling with a minimal drop forming a series of ‘flats’ and simple angles as it projects across the ceiling. 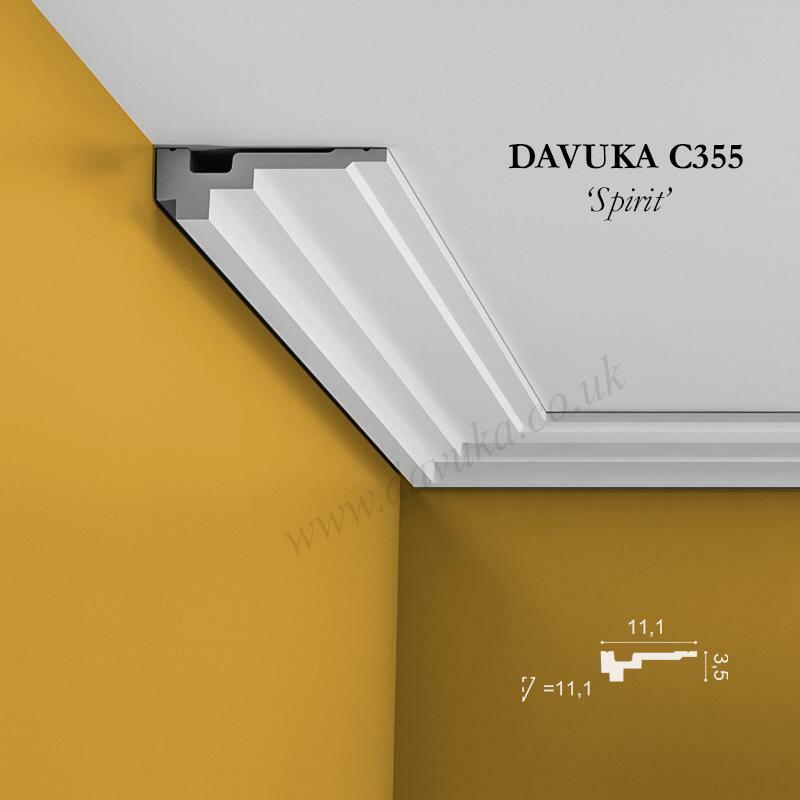 Our contemporary cornice has what we term as a ‘shadow gap’ at the meeting point to the wall. Not only does this give a wonderful floating illusion, it also makes decoration or painting much easier and looks more professional. 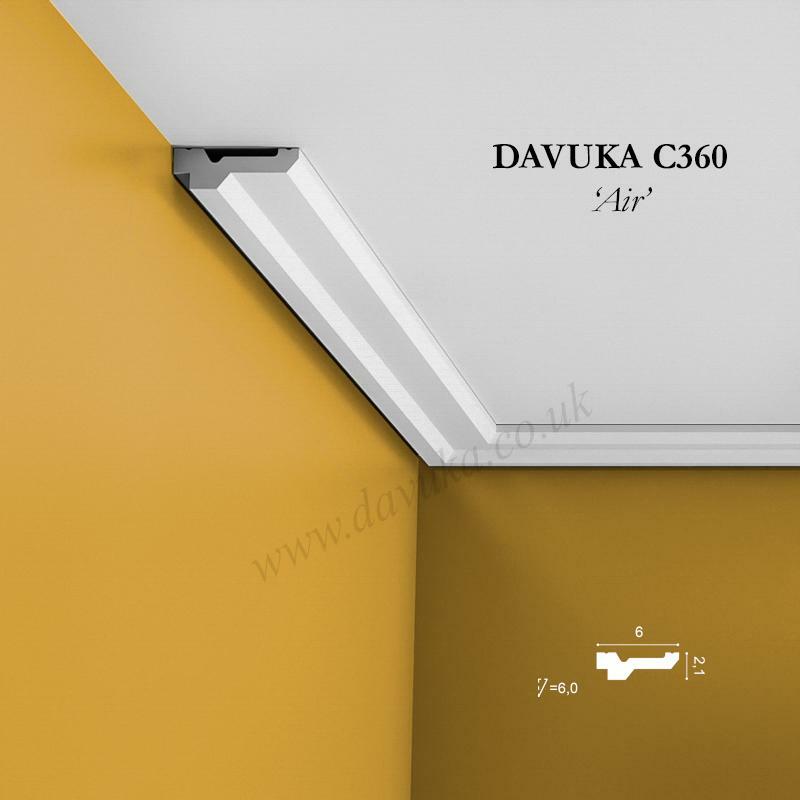 Being fixed flat against the ceiling (therefore with no complicated angles for the installer to think about) it is about as basic as it is possible to be when installing. 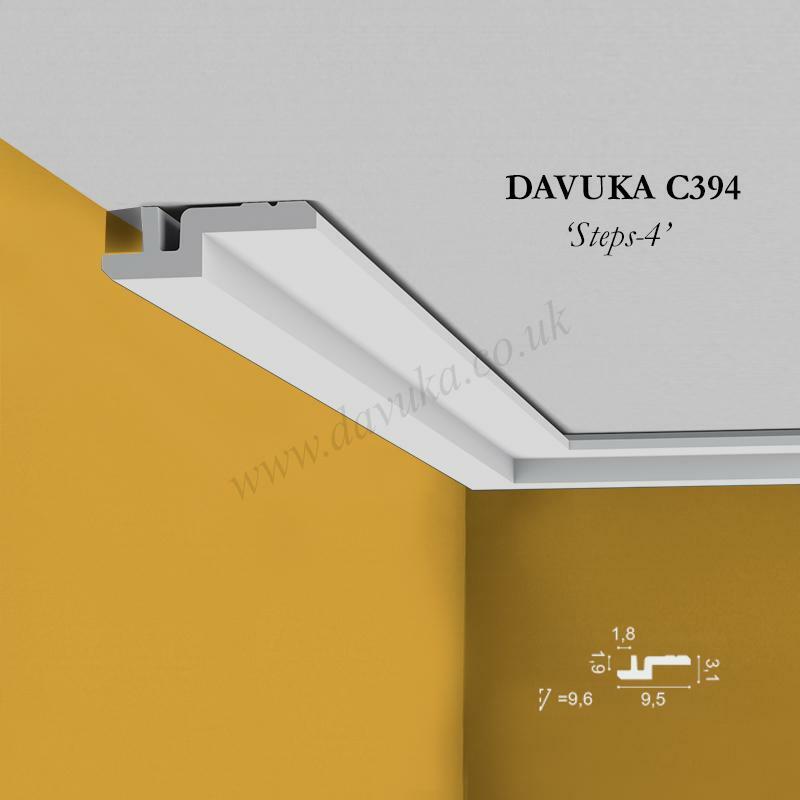 It also still fulfils the function of covering over any wall/ceiling crack should that be an issue. 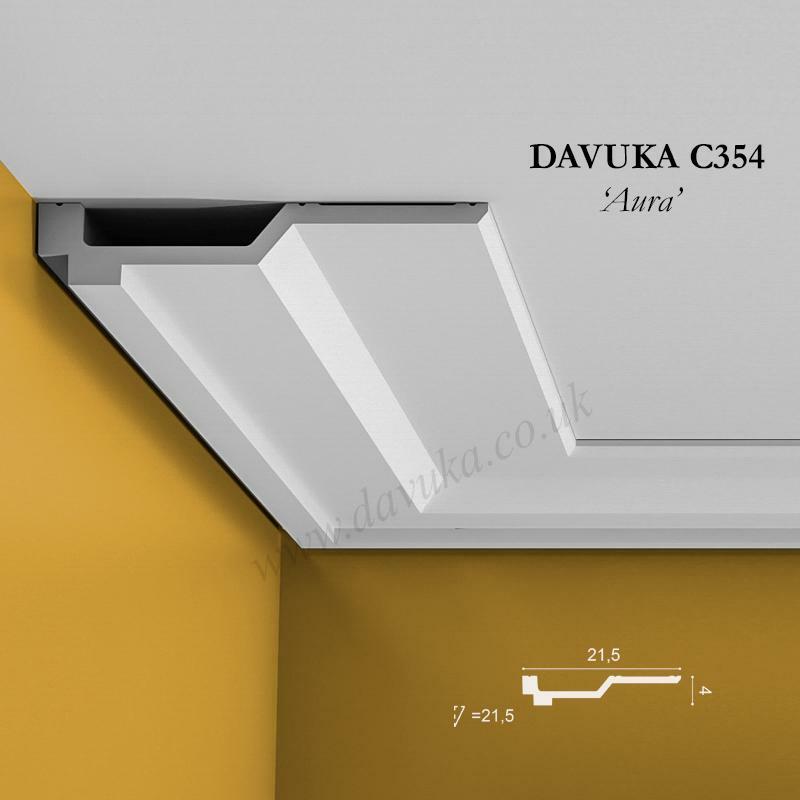 Different projections are available ranging from the relatively small C360 to the hugely impressive C354 that looks as grand as any traditional cornice but is right up-to-date for 21st century build. 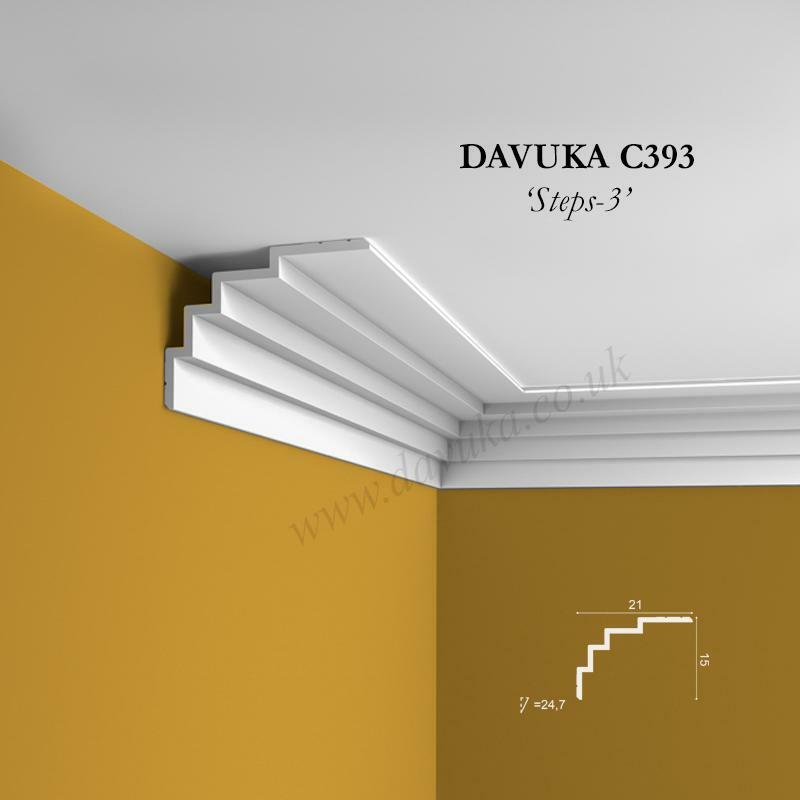 Typically these cornice designs look best in modern flats or conversions, but can work equally well in a house that has been given a modern makeover. 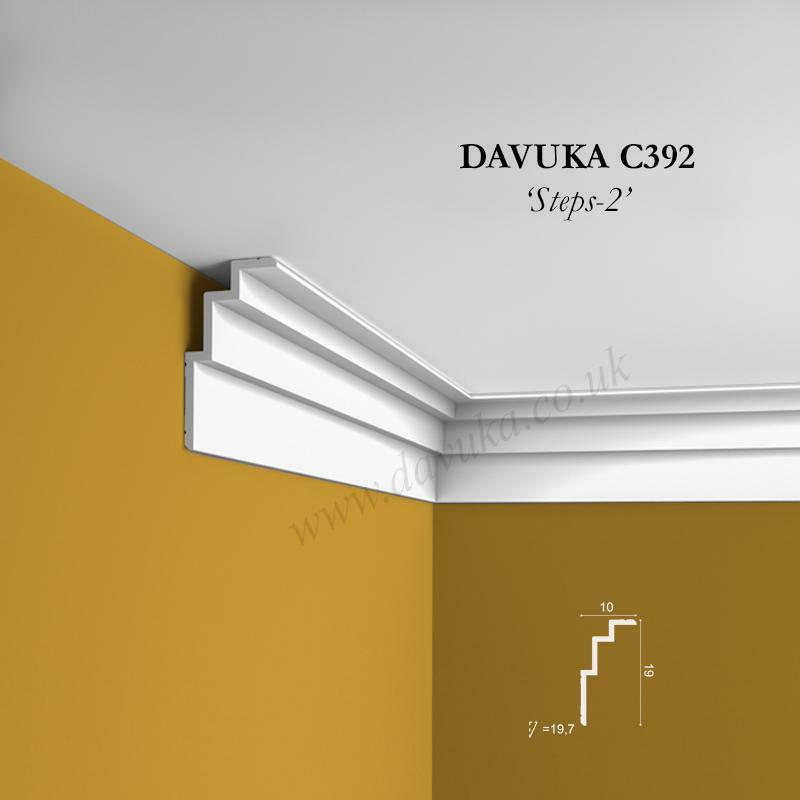 To really add dramatic effect, uplighting cornice can also be installed on the wall, approximately 20cm below. The light being thrown up will really emphasise the beauty of the shape and angular lines. This is room styling at its most exclusive, and some designers specify nothing else for their projects. 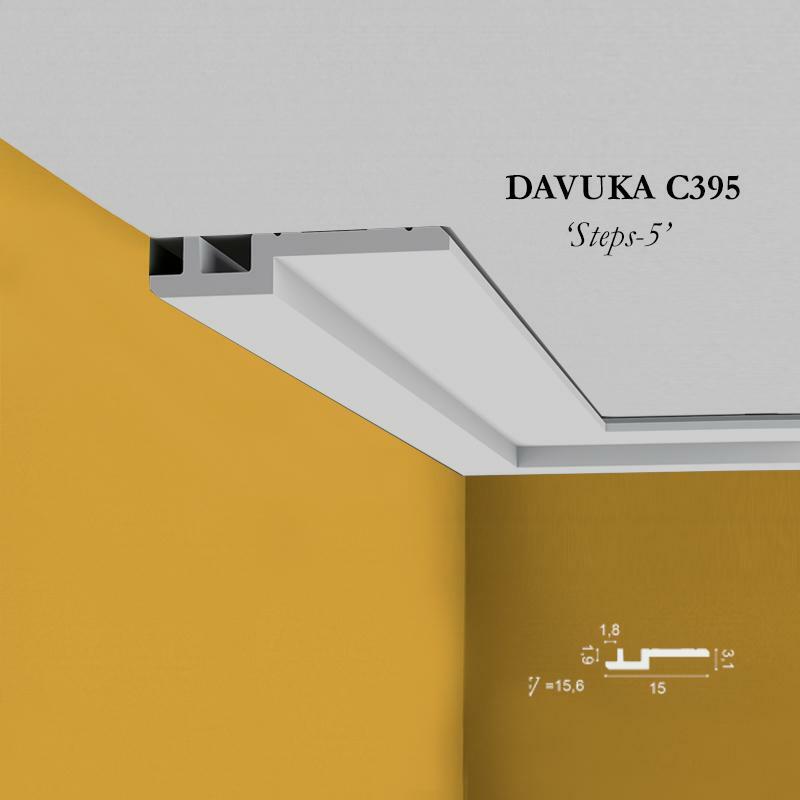 Seeing, really is believing for this product range – it is difficult to appreciate the stunning visual look just from a photograph, but trust us, you won’t be disappointed! 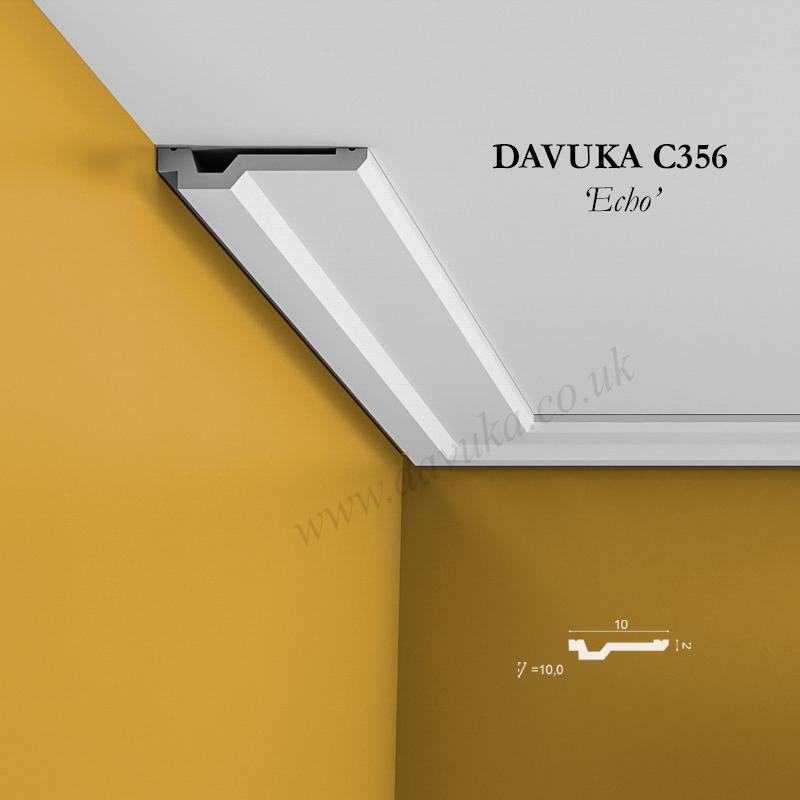 We want you to achieve the best possible installation, so we are currently offering our 2-in-1 (5m) internal gap measurement tape FREE OF CHARGE (RRP £9.98) for all coving/cornice orders totalling £200+ . Helps measure internal gaps more accurately, without an element of guesswork. Will be packed automatically with qualifying orders (max 1 per customer).